Kiran Morarji was born in London, England, on 15 March 1989 to Jayanti and Kusum Morarji. At a very young age, they noticed potential in the young Kiran and at the age of two, they bought him his first set of tabla. Since then, he has been inseparable from the ancient drum. At the age of four, the family moved to Toronto from the United Kingdom where Kiran started his official tabla training under Sri Sanjay Divekar, founder of Crystal Percussion Academy of Indian Classical Music from which he graduated with a Visharad Degree in Tabla. Apart from tabla, Kiran has a very strong educational background. Currently Kiran is a student of York University studying finance and would like to pursue his master's degree. Looking to the future, his plans are to complete his PhD in Indian Classical Music. Kiran is presently a disciple of the great tabla legend Ustad Zakir Hussain from whom he receives extensive and personal training in the Punjab Gharana (school) of tabla playing. Kiran is also adept at playing all others Gharana's of tabla i.e. Delhi, Lucknow, Farukabad, Ajrada and Benares. 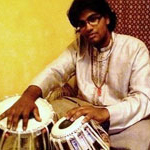 Tabla playing originated in Delhi, India. From Delhi, different masters moved to different parts of India and specialized the art accordingly. From India, it was these great masters that risked it all and came to the West. Tabla would not be what it is today without two of the greatest musicians bringing it to this part of the world, namely Pandit Ravi Shankar and the great maestro of tabla, the late Ustad Allah Rakha, father to Kiran's Guru Ustad Zakir Hussain. In addition, Kiran's personal heritage and spirituality play a huge part in his music. Kiran believes in spiritual transformation through music and chooses to practice and perform his music to make himself happy and try to share the same love and joy with the listener. He loves to play the tabla "because of the spiritual connection you feel with God." Kiran has many great accomplishments to date. At the age of 12, he performed at the Living Arts Center in the prestigious Hammerson Hall in Toronto to a sold out crowd of 1,315. In 2008, Kiran performed in the presence of Prime Minister of Canada, Stephen Harper and former Prime Minister of India, Abdul Kalam. Kiran has had the honour to perform alongside his Guru in California 2007 and 2008. From the age of 15, Kiran was already touring the United States and Canada. He has performed and toured with great mainstream artists such as Ustad Irshad Khan, son of Imrat Khan and nephew of one of the greatest masters of Sitar, Ustad Vilayat Khan. In 2007, Kiran performed for Ragamala-Toronto with Neeraj Prem, student of Shujaat Khan. Kiran has also done a series of tours with Neeraj for Yoga centers in Detroit, New Jersey, Michigan, Chicago and Toronto. Kiran has also collaborated with dancer Lata Pada and helped compose the music for a high school musical. Kiran also had the great opportunity to accompany Srmti Kankana Banerjee (disciple of Ustad Amir Khan of Indore Gharana), one of India's leading vocalists. ATN, The Toronto Star, and the Mississauga News have recently interviewed Kiran. Being a young Indian musician in Canada, Kiran faces many challenges. In Canada, it is difficult to earn the respect of Indians. It is hard not to sacrifice the music to accommodate and Kiran does not. He presents pure Indian Classical tabla. There is a difference between entertainment and expression and Kiran has taken the challenge to present the purest form of tabla through expression of self. Kiran, through his inspiration from his parents, family and Guru, continues to practice and perform, experimenting with different world music and fusion. He can be reached through email at kiranmorarji@hotmail.com for further queries.